The new series of Top Gear is returning to Lancashire, it has been revealed. The new series of the popular motoring show - now fronted by Matt Le Blanc, Chris Harris and Rory Reid – returns to our screens on Sunday. 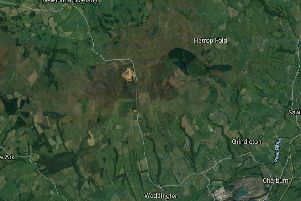 And the team have let slip that parts of it are filmed in Lancashire. The last season of the programme showcased Blackpool in the opening episode, when Chris Evans and Matt Le Blanc raced Robin Reliants from London to Blackpool Promenade. They then spent the weekend in the resort filming various stunts including a beach tug of war and jeep racing. The new series of Top Gear starts on Sunday at 8pm on BBC Two.